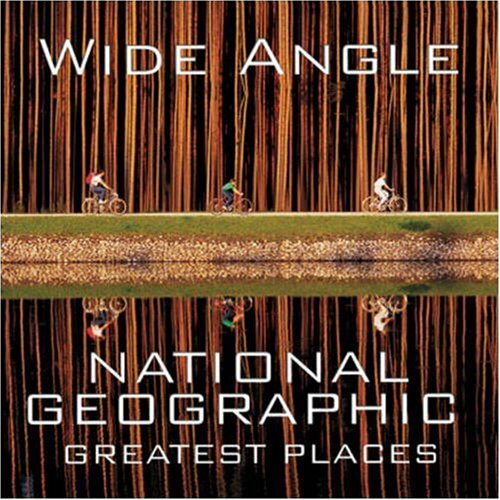 In 250 glorious photographs Wide Angle: National Geographic Greatest Places showcases every part of the world. Delving deeply into our century-old picture archive, our new book-the third in the 'greatest photographs' series-presents the world's hugely diverse places with epic grandeur, unparalleled intimacy, romantic beauty, and gritty realism. The photographs are landscapes, cityscapes, famous landmarks, and unfamiliar spots that reveal special qualities of geography or culture we might otherwise never see. National Geographic's quest since its founding in 1888 has been to describe 'the world and all that's in it.' To fulfill that quest, photographers set out to document every imaginable place on earth, from the most remote to the most familiar; from the most primitive to the most sophisticated. National Geographic photographers have recorded the world's places close up, in sweeping breadth, in depth, and over time. Wide Angle is divided into twelve chapters, each depicting a unique geography (see list below) and the culture and nature that inhabit it. Chapters are introduced by short, 1,500-word essays. The book's length-504 pages-allows us to develop each chapter to look carefully and deeply at a region's special qualities. The geography and the life within it comes forward with its own unique character, its own special and unforgettable sense of place.